You are one of the few people who clicked on the award, congratulations, YOU are a WINNER! Awards, they make us feel good about ourselves and the work we’ve done. In today’s society, we’re passing them out like stadium hotdogs…”Best of This”, “Most Excellent That”. While awards are not inherently bad, it can shift the focus of a business in a never-ending quest of oneupsmanship — and that isn’t what we are about. Doing a great job for a client can (and should) be the “prize” we seek…the grand prize?  While we have been recognized “officially” in the past for our design abilities, it’s the recognition of a job well done that drives us. When we get the opportunity to serve a client over and over (or their peer as a result of a referral), obtaining a coveted long-term, valued-partner status, THAT is an award, and it’s amazing! More valuable than any one project we’re asked to produce. And know that, to us, you’ll always be our “Best (fill in the blank here)”.